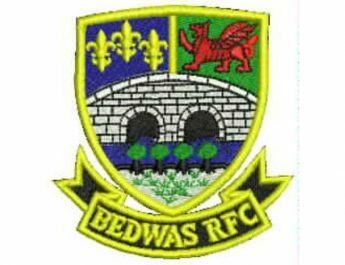 Bedwas hold on at the death to claim vital win. Bridgend Ravens RFC 16 Bedwas RFC 22. Principality Welsh Premiership, Friday 23rd November 2018. 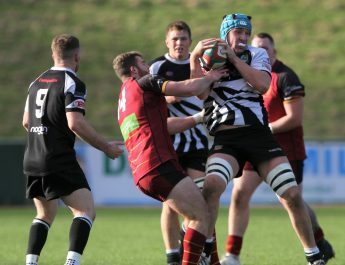 Bedwas dug deep to survive a late Bridgend onslaught to gain a vital victory in their continued quest to stay away from the relegation zone. Both sides will rue indiscipline which saw two players from each side given yellow cards and in Bedwas’ case it was an agonising last 8 minutes under the cosh with only 13 players on the pitch. The game started very well for the men in black; with only two minutes elapsed good passing put Jordan Rees through in the corner; Joe Scrivens adding the conversion. It didn’t take long for the Ravens to counter as Number 8 Aled Evans crossed for a try but Jamie Murphy missed with his conversion kick. Murphy missed a further penalty chance before his side was reduced to 14 men following Tom Morgan’s sin binning. Bedwas took advantage of the extra man with two tries in three minutes. Jordan Rees finding the space to squeeze in for a try in the corner, and then Tom Hoppe spotted a gap in the home defence to sprint in from 25 metres to touch down under the posts. Joseph Scrivens converted the latter to put 19points to 5 ahead. Bedwas should have increased this lead but wrong options and inaccurate passing so opportunities squandered. Jamie Murphy added a penalty5 minutes before half time to keep his sides’ hopes alive. A second Murphy penalty early in the second half reduced the deficit further but indiscipline struck again minutes with the sin binning of back row replacement Jordan Collier. Both sides sought the winning score but defences held out. Joseph Scrivens notched a close range penalty for Bedwas with seven minutes remaining but a minute later Joe Davies trudged off for a 10 minute enforced rest. Bridgend sensed the chance of victory and somehow the Bedwas defence kept them at bay until prop Rhodri Apsee burrowed over for a try awarded by a touch judge after the referee claimed he hadn’t seen the ball grounded. Deep into stoppage time Bedwas were reduced to 13 men as prop Rhys Hutcherson was deemed guilty of a scrum offence. 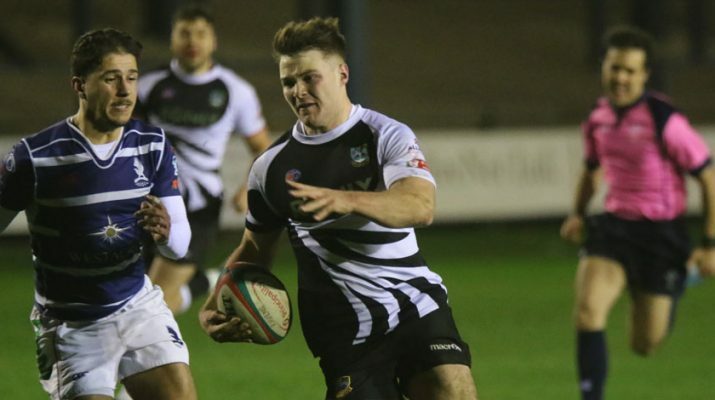 Bridgend went for the jugular from the penalty line out but despite conceding a further penalty and subsequent close range line out Bedwas defied the odds as they held out for a vital win. Next Saturday Bedwas host Neath RFC at the Bridgefield, kick-off at 2-30pm.